During the late summer of 1865, Spurgeon's heart laboured over some troubling circumstances brought on by the sinful acts of a pastor sent out from the Pastors' College. Duties surrounding that situation demanded his attention and took him away from a routine meeting with his beloved students. 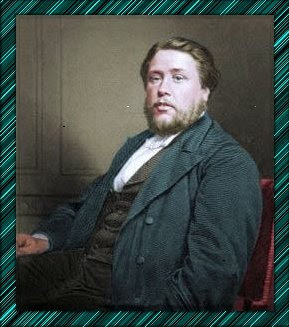 In a letter informing them of his necessary absence, Spurgeon called his students to carefulness and watchful prayer, lest they too succumb to temptation. I am called away from you this afternoon; and I should much regret this if it were not that it has come into my heart to suggest to you to spend our usual time in prayer, instead of in teaching and learning. My heart is often heavy with trials, arising out of the College work, which is so dear to me, that I am perhaps unduly anxious over it. I am bowed to the very dust when I fear that any brother is erring in doctrine, lacking in grace, or loose in behaviour. I have as little to lament as it is possible there should be where we are all such imperfect creatures. But, my brethren, I would fain have you all the best men living; and when you are not, I am distressed exceedingly. Just now, one brother, by his general self-indulgent habits, has lost the respect of his people, and must move. I do not want to inflict a curse on another congregation, and I do not want to cast him off. Between these two courses I am perplexed. Pray for me, for him, for all the brethren, and for yourselves.